WASHINGTON -- NASA has selected TRAX International of Las Vegas to provide for Goddard Logistics and Technical Information services at the Goddard Space Flight Center in Greenbelt, Md. This contract is cost-plus-fixed-fee, with technical performance incentives valued at approximately $435 million. 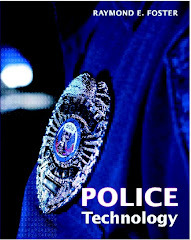 The 60-day phase-in period will begin on June 2, 2012. The effective date of this five-year contract, which includes a two-month base and five option periods, will begin on Aug. 1, 2012. Under this contract, TRAX will provide services to both institutional customers and technical projects. Services include project logistics, supply management, transportation, equipment management, management services, creative services and audiovisual services. These services will be performed at Goddard; NASA's Wallops Flight Facility at Wallops Island, Va.; and NASA Headquarters in Washington. WASHINGTON -- Five universities have been selected to participate in the 2013 Exploration Habitat (X-Hab) Academic Innovation Challenge led by NASA and the National Space Grant Foundation. These universities will design habitat systems, concepts and technologies that could be used in future deep space habitats. The selection is the first milestone in a year-long process for these five teams. Throughout the 2012-2013 academic year, the teams will meet a series of milestones to design, manufacture, assemble and test their systems and concepts in cooperation with the NASA Advanced Exploration Systems (AES) Program's Habitation Systems Project team. "The X-Hab Academic Innovation Challenge is an exciting opportunity to engage university teams in the design process for NASA's next generation space systems," said Jason Crusan, NASA's AES Program manager at NASA Headquarters in Washington. "The agency benefits from the fresh and innovative perspective of these university teams, and they learn about deep space human exploration and the systems engineering approach from an experienced NASA team." The challenge is a university-level participatory exploration effort designed to encourage studies in spaceflight-related disciplines. The challenge encourages multidisciplinary approaches, further outreach efforts and partnering with experts and industry. This design challenge requires undergraduate students to explore NASA's work on development of deep space habitats while also helping the agency gather new ideas to complement its current research and development. NASA selected these five teams from among a group of proposals received in May 2012. The National Space Grant Foundation will fund design costs, development and delivery of the systems to the AES Habitat Systems team during the summer of 2013. NASA's Human Exploration and Operations Mission Directorate's Advanced Exploration Systems Program, via the Habitat Systems Project team, is sponsoring the technology challenge. NASA is dedicated to supporting research that enables sustained and affordable human and robotic exploration. This educational challenge contributes to the agency's efforts to train and develop a highly skilled scientific, engineering and technical workforce for the future. For information about competition registration and requirements, visit http://www.spacegrant.org/xhab. For more information about the Advanced Exploration System Program Habitation Systems Project team, visit http://go.nasa.gov/L37Ymq. WASHINGTON -- NASA's Nuclear Spectroscopic Telescope Array, or NuSTAR, is being prepared for the final journey to its launch pad on Kwajalein Atoll in the central Pacific Ocean. The mission will study everything from massive black holes to our own sun. It is scheduled to launch no earlier than June 13. "We will see the hottest, densest and most energetic objects with a fundamentally new high-energy X-ray telescope that can obtain much deeper and crisper images than before," said Fiona Harrison, the NuSTAR principal investigator at the California Institute of Technology (Caltech) in Pasadena, Calif., who first conceived of the mission 20 years ago. The observatory is perched atop an Orbital Sciences Corporation Pegasus XL rocket. If the mission passes its Flight Readiness Review on June 1, the rocket will be strapped to the bottom of an aircraft, the L-1011 Stargazer, also operated by Orbital, on June 2. The Stargazer is scheduled to fly from Vandenberg Air Force Base in central California to Kwajalein June 5-6. On launch day, the Stargazer will take off and at around 11:30 a.m. EDT (8:30 a.m. PDT) will drop the rocket, which will then ignite and carry NuSTAR to a low orbit around Earth. "NuSTAR uses several innovations for its unprecedented imaging capability and was made possible by many partners," said Yunjin Kim, the project manager for the mission at NASA's Jet Propulsion Laboratory (JPL) in Pasadena, Calif. "We're all really excited to see the fruition of our work begin its mission in space." NuSTAR will be the first space telescope to create focused images of cosmic X-rays with the highest energies. These are the same types of X-rays that doctors use to see your bones and airports use to scan your bags. The telescope will have more than 10 times the resolution, and more than 100 times the sensitivity, of its predecessors while operating in a similar energy range. The mission will work with other telescopes in space now, including NASA's Chandra X-ray Observatory, which observes lower-energy X-rays. Together, they will provide a more complete picture of the most energetic and exotic objects in space, such as black holes, dead stars and jets traveling near the speed of light. "NuSTAR truly demonstrates the value that NASA's research and development programs provide in advancing the nation's science agenda," said Paul Hertz, NASA's Astrophysics Division director. "Taking just over four years from receiving the project go-ahead to launch, this low-cost Explorer mission will use new mirror and detector technology that was developed in NASA's basic research program and tested in NASA's scientific ballooning program. The result of these modest investments is a small space telescope that will provide world-class science in an important but relatively unexplored band of the electromagnetic spectrum." NuSTAR will study black holes that are big and small, far and near, answering questions about the formation and physics behind these wonders of the cosmos. The observatory will also investigate how exploding stars forge the elements that make up planets and people, and it will even study our own sun's atmosphere. The observatory is able to focus the high-energy X-ray light into sharp images because of a complex, innovative telescope design. High-energy light is difficult to focus because it only reflects off mirrors when hitting at nearly parallel angles. NuSTAR solves this problem with nested shells of mirrors. It has the most nested shells ever used in a space telescope, 133 in each of two optic units. The mirrors were molded from ultra-thin glass similar to that found in laptop screens and glazed with even thinner layers of reflective coating. The telescope also consists of state-of-the-art detectors and a lengthy 33-foot (10-meter) mast, which connects the detectors to the nested mirrors, providing the long distance required to focus the X-rays. This mast is folded up into a canister small enough to fit atop the Pegasus launch vehicle. It will unfurl about seven days after launch. About 23 days later, science operations will begin. NuSTAR is a Small Explorer mission led by Caltech and managed by JPL for NASA's Science Mission Directorate in Washington. The spacecraft was built by Orbital Sciences Corporation in Dulles, Va. Its instrument was built by a consortium including Caltech; JPL; University of California at Berkeley (UC Berkeley); Columbia University in New York; NASA's Goddard Space Flight Center in Greenbelt, Md. ; the Danish Technical University in Denmark; Lawrence Livermore National Laboratory in Livermore, Calif.; and ATK Aerospace Systems in Goleta, Calif. NuSTAR will be operated by UC Berkeley, with the Italian Space Agency providing its equatorial ground station located at Malindi, Kenya. The mission's outreach program is based at Sonoma State University in Rohnert Park, Calif. NASA's Explorer Program is managed by Goddard. JPL is managed by Caltech for NASA. For more information, visit http://www.nasa.gov/nustar. The glacier lily as it's called, is a tall, willowy plant that graces mountain meadows throughout western North America. It flowers early in spring, when the first bumblebees and hummingbirds appear. The lily, a plant that grows best on subalpine slopes, is fast becoming a hothouse flower. In Earth's warming temperatures, its first blooms appear some 17 days earlier than they did in the 1970s, scientists David Inouye and Amy McKinney of the University of Maryland and colleagues have found. The problem, say the biologists, with the earlier timing of these first blooms is that the glacier lily is no longer synchronized with the arrival of broad-tailed hummingbirds, which depend on glacier lilies for nectar. By the time the hummingbirds fly in, many of the flowers have withered away, their nectar-laden blooms going with them. Broad-tailed hummingbirds migrate north from Central America every spring to high-mountain breeding sites in the western United States. The birds have only a short mountain summer to raise their young. Male hummingbirds scout for territories before the first flowers bloom. But the time between the first hummingbird and the first bloom has collapsed by 13 days over the past four decades, say Inouye and McKinney. "In some years," says McKinney, "the lilies have already bloomed by the time the first hummingbird lands." The biologists calculate that if current trends continue, in two decades the hummingbirds will miss the first flowers entirely. The results are reported in a paper in the current issue of the journal Ecology. 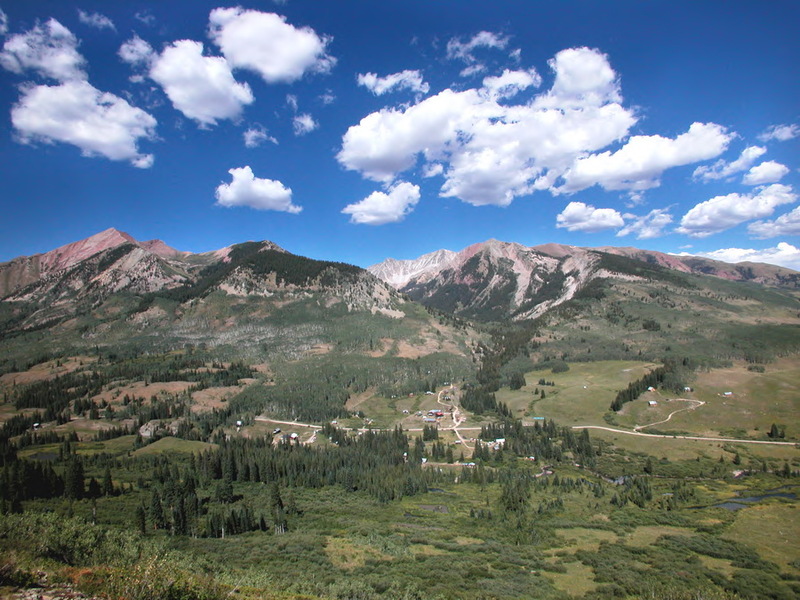 In addition to McKinney and Inouye, co-authors of the paper are Paul CaraDonna of the University of Arizona; Billy Barr of the Rocky Mountain Biological Laboratory in Crested Butte, Colo.; David Bertelsen of the University of Arizona; and Nickolas Waser, affiliated with all three institutions. "Northern species, such as the broad-tailed hummingbird, are most at risk of arriving at their breeding sites after their key food resources are no longer available, yet ecologists predict that species will move northward as climate warms," says Saran Twombly, program director in the National Science Foundation's Division of Environmental Biology, which funded the research. "These conflicting pressures challenge society to ensure that species don't soon find themselves without a suitable place to live." Broad-tailed hummingbirds that breed farther south have fewer challenges. "In Arizona, for example," says Inouye, "there's no obvious narrowing of the timing between the first arriving males and the first blooms of, in this case, the nectar-containing Indian paintbrush." Higher latitudes may be more likely to get out of sync ecologically because global warming is happening fastest there. 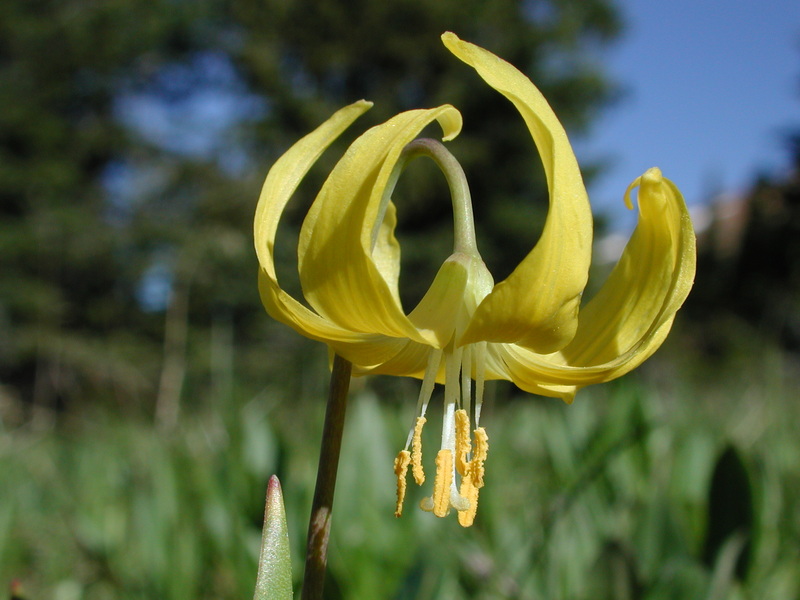 As the snow continues to melt earlier in the spring, bringing earlier flowering, says Inouye, the mountains may come alive with glacier lilies long before hummingbirds can complete their journey north. "Where have all the flowers gone?" then will be "where have all the hummingbirds gone?"